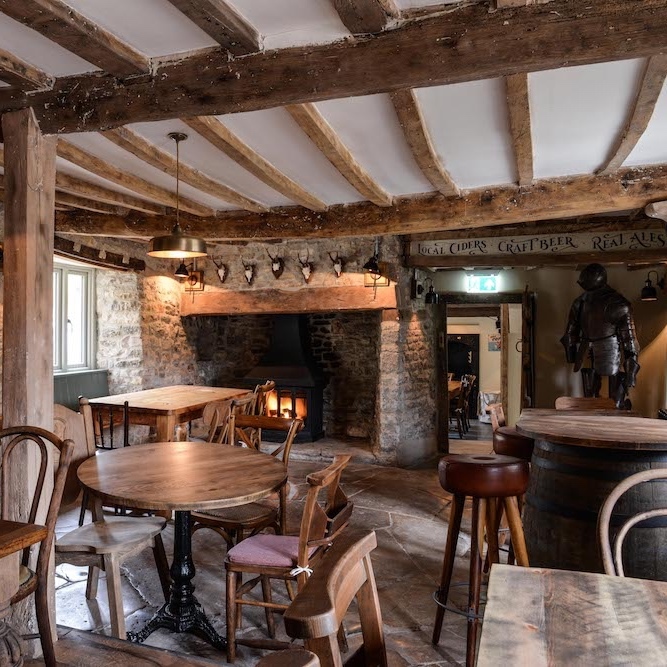 Relaunched in March 2017 after a few years lying empty, the new owner of The Litton (in the village of Litton, near Wells, hence the name), has cleverly retained much of the original character of the 15th century former King’s Arms but has also added quirky, contemporary touches. The result? A unique, laid back country pub with riverside terrace, landscaped gardens and boutique rooms. No wonder The Litton was voted Somerset’s Best Destination Pub in the Muddy Stilettos Awards 2018. 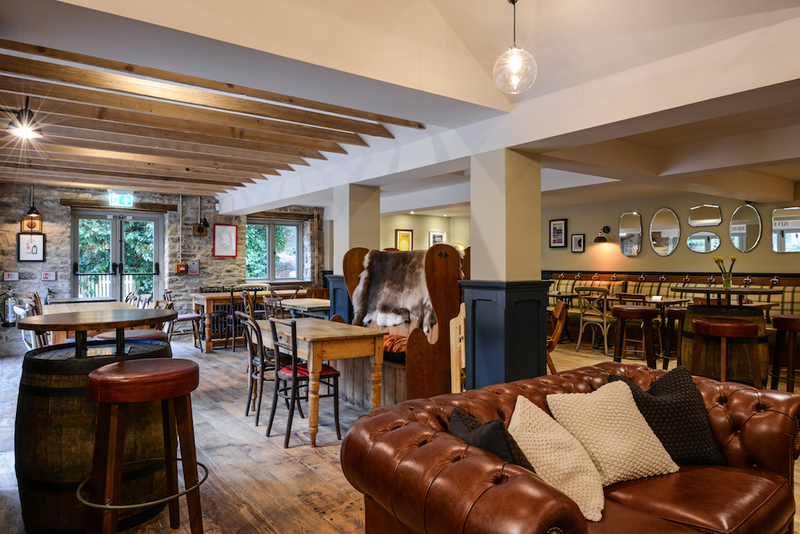 The main bar and dining area has eclectic decor – plaid banquettes, reindeer hides, Moroccan poufs, mismatched chairs and vintage mirrors – and a bar made from an original elm ceiling beam from the old pub. Come for a drink, a snack, breakfast, lunch or dinner – every one raves about the mainly Modern British/European food. There’s a vegan menu. too. You can work your way through over 50 whiskies and other spirits in the separate Whiskey Bar with ancient beams, gleaming copper bar top, wood-burning stoves – and meet Eric the knight! Brilliant all-year-round outside spaces. 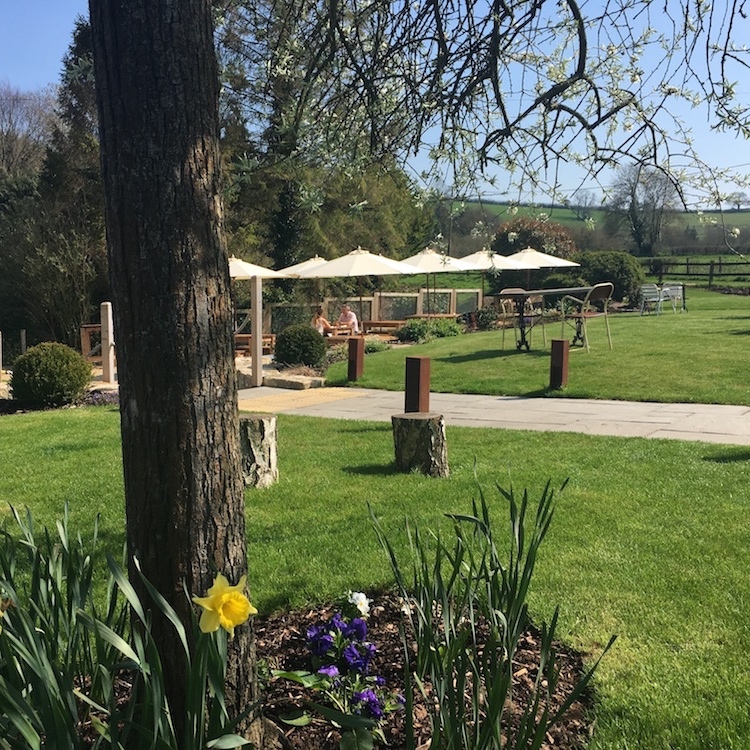 Snuggle under a blanket or by the firepit on the festoon lit riverside terrace, backing onto the river Chew. Take a table in the sun-trap sunken courtyard by the entrance. There’s plenty of room or kids to run around up in the large grassy landscape garden overlooking the pub. 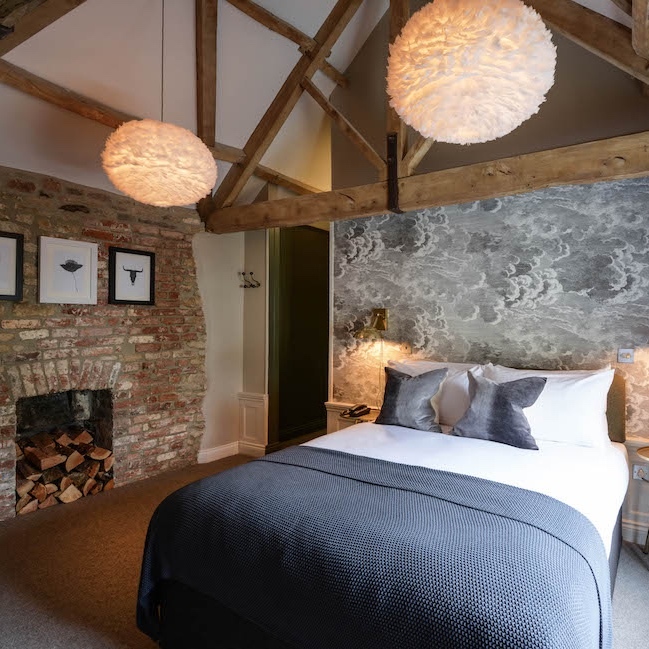 The 12 boutique bedrooms are to die for: beautifully decorated – that mix of vintage and contemporary again – all en suite and with the added touch of luxury bathrobes and slippers. Yes please! The dog-loving owner allows canines in some rooms. Drop in for food, drink, regular live music, especially on a Thursdays when they often host acoustic sessions – or a rather nice overnight stay. Muddy Newflash! The Litton has made it into The Sunday Times Magazine’s Top 100 Best British Hotels. Congrats!